Should out-of-state corporations pay the same state income taxes that California-based firms do? Or would that be a "jobs-killer?" Those are the dueling themes playing behind Proposition 39, a ballot measure that would require multi-state businesses to base their income tax liability on the percentage of their sales in California, according to the official ballot summary. 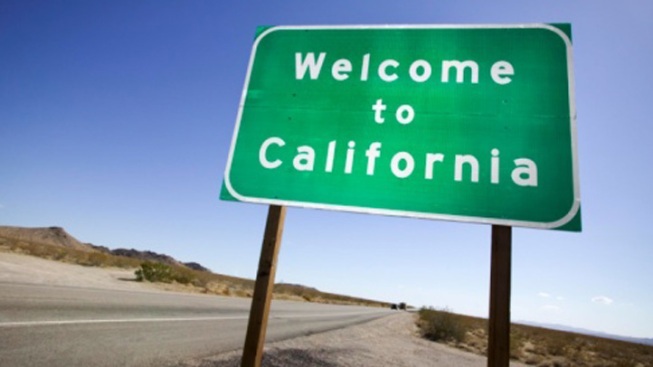 Busineses that operate in California currently have two choices in how they pay taxes: One method bases a multi-state business’ tax off the amount of sales, property, or employees the firm has in California. The other method bases the tax off the number of sales conducted in California. If Prop. 39 passes, businesses would be required to use this method. Some of the revenue generated from the taxes will fund clean energy jobs in the state. The legislature and governor established the two-choice system three years ago. The choice is currently not available to California-based firms. Prop. 39's backers say it closes a tax loophole that gives multi-state businesses an unfair advantage over California firms. However, out-of-state manufacturers say California's tax climate is too business-unfriendly already, and the measure will keep them from investing more here. "The perverse consequence of that is that a company that sells in California pays fewer taxes if it has its employees and its plant and equipment and distribution facilities out-of-state," said Jim Waring, CEO and president of CleanTech San Diego and the Yes on Prop. 32 Spokesman. That choice would stop under Prop. 39, making both out-of-state and California-based firms subject to the same formula. For instance, if they do ten percent of their sales in California, they would pay tax on ten percent of their profits, and so-on. "This is the same methodology that's used in Texas, New York, New Jersey, Illinois,” Waring said. “So this isn't California going out and doing something nutty. This is California doing the exact same method of taxation that our peer group -- that we compete against -- is doing." The California legislative analyst estimates Prop. 39 would generate an extra billion dollars per year to the state, half of which would go toward clean-energy projects that could create 40,000 jobs over five years. But critics say it's badly crafted, and sends the wrong market signal about California's business climate. "It seems that every other year, in an attempt to raise revenue for the state, we're changing our tax policy, we're changing the way that businesses are treated in California,” said Paul Webster of the San Diego Regional Chamber of Commerce and No on Prop. 39 Spokesman. “The way the that New Jersey, the way that Texas are doing it, they're doing it in a way that is attracting business," Webster said. Webster added that Prop. 39 is the wrong way to spur economic growth in California. "Let's focus on budget reform,” he suggested. “Let's focus on spending cuts. Let's focus on making sure that our current budget is one that's accountable to the people." Recent polling numbers show likely voters in favor of Prop. 39 by roughly a 2-to-1 margin. But the blocs of undecided voters range from 14 to 20 percent. Check back here for election results, or browse our Decision 2012 page for more on the issues hitting voters next week.